I think I was able to trade one of my free samples for these earrings, and once I got them I wouldn’t let them go. I love these earrings. It’s a nice combination of glam with an edge, but it’s still so simple. The earrings themselves are very light. I’m not gonna lie, quality wise, you can tell they’re cheap when you hold them. The spike seems like it’s hollow on the inside and is made of something more like a plastic material than metal. However, given how much I spent to get them, they’re worth the price. I’m not sure how I feel about these earrings. They’re a little longer than what I usually like. However, I feel like in the sun, all the crystals will catch the light wonderfully. What are your thoughts? Keep or no keep? When I got this necklace, it was a lot shorter than I imagined it to be. It has an adjustable options, but this is almost as long as it goes. The chains and pearls feel cheaper, kind of like plastic, but I do like the overall look. I feel like it’s a nice statement necklace, and it’s got its own unique twist to the regular chain necklaces I’ve been seeing out there. It’ll go nicely over a collared shirt or a sweater in the winter. 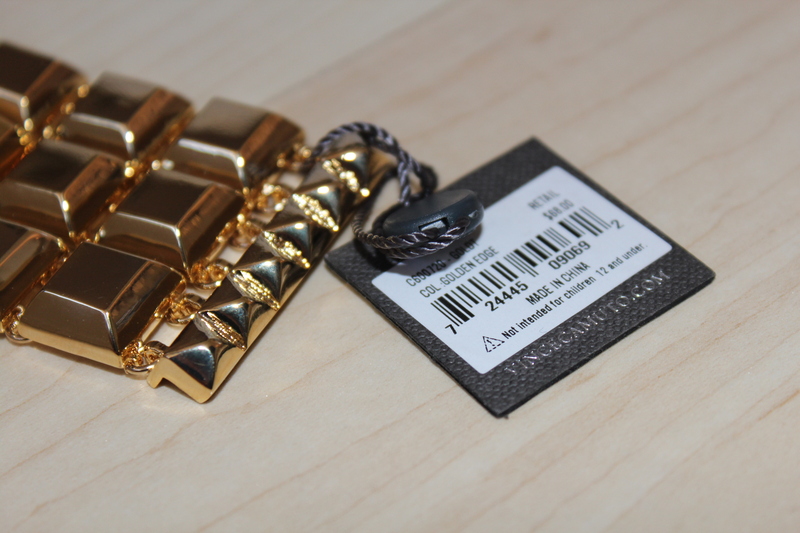 I’ve been seeing so much of those studded stretch bracelets lately, so I thought this bracelet would be a nice twist to those bracelets. I like how it alternates between a denim and jeweled stud, and it’s got a nice weight to it. 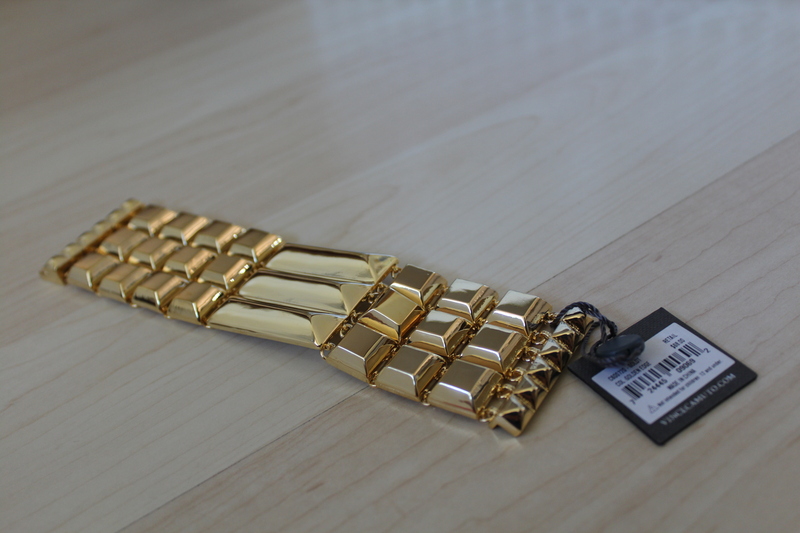 However, I wish the bracelet was smaller (length wise). 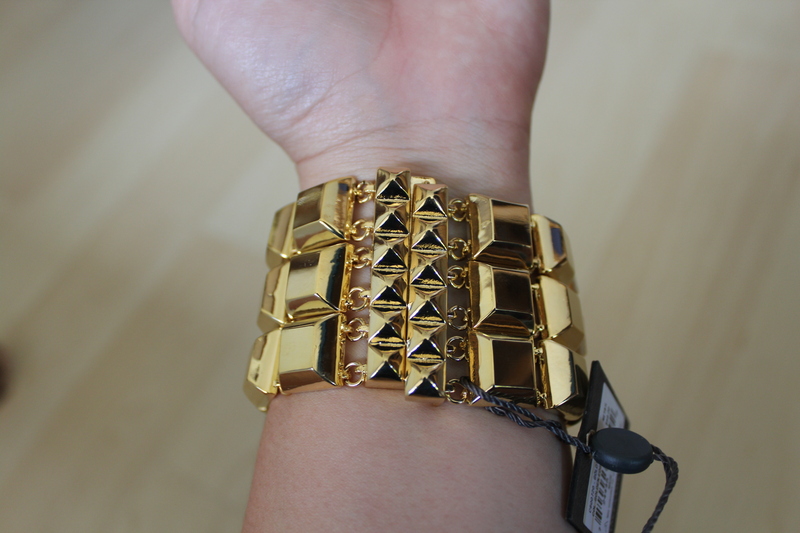 I might try to adjust it, but I feel like it’s one stud too big for my wrist. I think my wrist is around 6″ in diameter, so that’s something to keep in mind. This is the bow ring that I fell in love with. It is definitely a statement ring. It’s big and it’s bling. Unfortunately, it’s a little too big so I have to try and figure out how to fix that since it’s not a stretch ring. If I were to guess, I think the ring I got is a size 8. So for those of you with small fingers, you might want to stay away from this ring. I’m not the biggest fan of this bangle. It’s not to say that it’s ugly, but it’s just kind of plain. I was trying my best to trade this bangle before my bag closed, but I just had no luck. The bangle itself is a nice quality, and it kind of looks like a Cartier bangle. It fits nicely over my wrist and I think it could do well with stacking, so I wouldn’t completely rule it out if you’re a bangle person. Bangles just aren’t usually my cup of tea. Sigh, this bag. I was quite disappointed with this bag. The quality of the bag itself is okay, but it’s all the sequins on the outside that I don’t like. It seems like some of the sequins are confused on which way they’re supposed to lay, and it bothers me that I can’t flip them all so that the color side is up. In addition to that, a bunch of the sequins came already bent in half or in weird ways. I am also not the biggest fan of the confetti color when I saw it in person. If the bag was just fabric instead of the sequins, I think I could have really liked it. Instead, this will definitely be going back since I know I’ll never use it. This bag definitely did not disappoint. I got it because I thought the color would be wonderful for fall (even though fall is basically over) and I really liked the size and the shape. 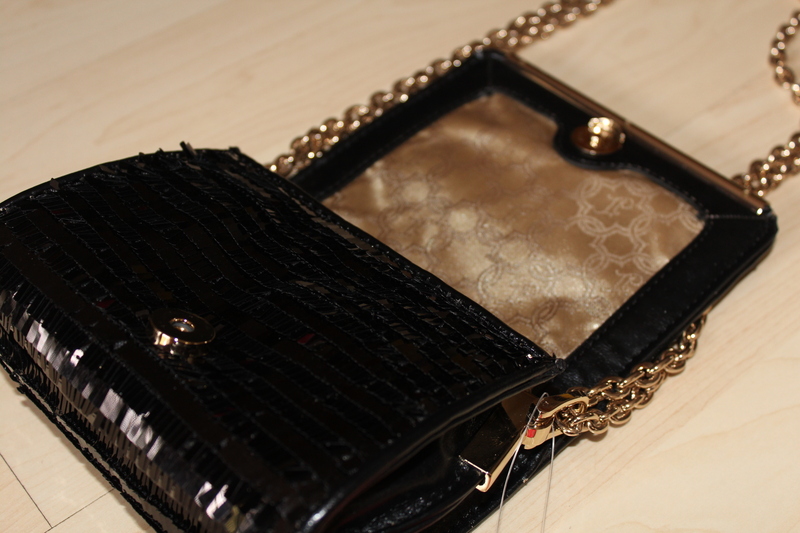 The bag comes with an attachable strap so you can wear in as a shoulder bag or just on your arm. 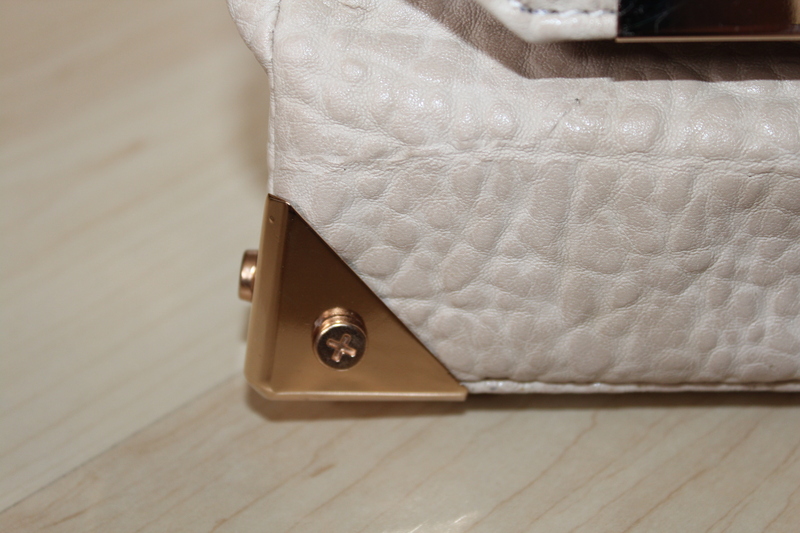 The inside also comes with a zipper pouch in the middle (which I love). I feel like this will really help to keep my bag organized. 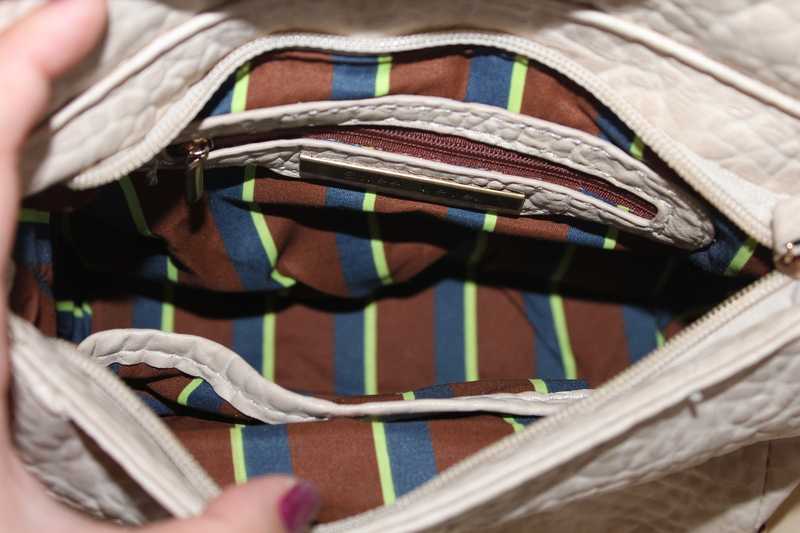 It also comes with the typical inside two pockets on one side and zipper pocket on the other, as well as a zipper pocket on both sides of the outside. Super excited to start using this bag. This gloss made me a little sad. I was really excited to try it and have subtle gold flecks on lips. However, when I tried using it, I felt like I either couldn’t see them at all or they just weren’t being picked up by the doe-foot. Either way, it wasn’t what I imagined it to be. In terms of quality, though, I like the feeling of the gloss. It’s smooth and creamy and not sticky at all. I would definitely consider trying a different gloss from this brand. In my second round of gift giving guides, I looked for gifts for guys (for my gift guide for girls under $50 click here). Whether it’s guy friends or boyfriends I tried to get a variety of items at a variety of prices. I know people always say guys are the easiest to shop for, but other than buying the typical t-shirt, I have the hardest time shopping for my guy friends and my boyfriend. There’s stuff in here for your sports lovers, gamers, music lovers, gym lovers, etc. I also came up with some additional options in case the 8 above don’t exactly fit what you’re looking for. Hopefully this guide helps you find that perfect gift. I know, if you looked at my gift guide for girls, I included this there as well. Or at least the perfume version. However, I still think it’s an amazing deal that your giftee will get 12 different fragrance samples and post shave cooling gel for $50. Like the perfume set, your giftee will also receive a voucher so he can receive his favorite scent from the set for free. I feel like with guys, you can’t go wrong with watches. However, if this isn’t your style or if you’re looking to spend a little more, I also found this Nixon watch for $125 or this Fossil watch for $145. Can you see a trend in my watch tastes? Either way, I recommend buying watches from Nordstrom. Not only is there a wide variety of watches at different price ranges, but their return policy is awesome and I believe they’ll adjust any Nordstrom purchased watch for free. For all the fitness buffs, I think this set is perfect. The set comes with two cups and leak proof lids, one additional cup, a blender, juicer attachment and more. What is awesome about this blender is that it comes with a blade attachment that you screw onto your cups and then place on the blender. So your smoothie/protein shake is made in the cup you’ll drink it from. I love anything that cuts down on dishes. If my explanation didn’t make since, you can watch this YouTube video for a visual demonstration. What guy doesn’t want tickets to a professional sports game? I know I’d love to get tickets to any professional sports game, well almost any game. Pick your boyfriend/friend’s sport of choice and favorite team and they’ll be a happy camper. NIKEiD allows you to custom build shoes for your guy. You first pick the shoe design and then you get to customize things like the fabric, color, laces, and add a personalized ID on the shoes. I love that you can make the shoes special and unique. A good set of headphones is always appreciated. Especially for those music lovers or frequent travelers. These headphones are noise cancelling, which I love. Plus, I feel like the around the ear earphones are more comfortable than the earbuds. If you’re looking for something smaller, though, feel free to browse the site for some other options. Who doesn’t own or want a tablet these days? What I like about this table is that it’s small and lightweight, which makes it more portable than the bigger tablets. It also has a good variety of apps and is easy to use. However, if you are looking for other options, you could of course go with the Apple iPad as well. Since Christmas is fast approaching I thought I would start putting together a list of Christmas guides to try and help with everyone’s Christmas shopping. 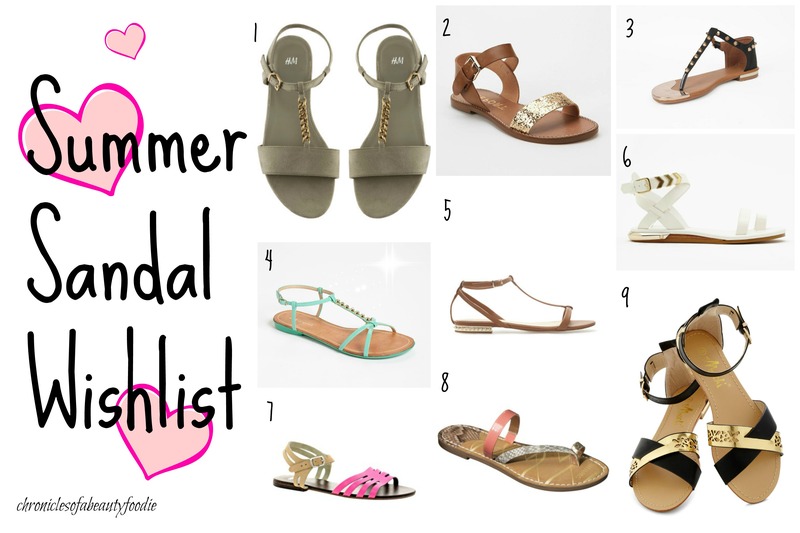 I searched the internet high and low and these are some of the favorites that I came across for girls that are all under $50. I wanted to get a variety of items, from beauty to home goods to technology since I know everyone’s got different interests. Hopefully this guide helps you find excellent gives for all your friends, family and loved ones. With winter approaching, candles are always much appreciated. I feel like they bring a nice homeliness to everyone’s house. Not only does Diamond Candles offer a wide variety of scents, but what makes its product unique is that each candle includes a hidden ring inside. I know, it’s like a present in a present. How cool is that?! The rings vary in value, but are all worth at least $10 to over $100. I know, no guarantees that you’ll like the ring or that it’s the right size (usually a size 6-8), but at the end of the day, I see it as an added bonus on top of a wonderfully smelling candle. I think almost everyone has heard about Urban Decay’s Naked palettes. They have both received excellent reviews as an everyday neutral palette. This new palette is smaller in size, but comes with six neutral, matte colors. It has all the colors you’ll need to make a daily makeup look. Plus, I love that the colors are matte because I usually am not looking for too much glitter on an every day basis. This palette is perfect for travel or for those that don’t need a palette as extensive as the Naked 1 and Naked 2. How adorable are these cups?! I think the biggest downside is that I might never want to use them because they’re too cute to potentially destroy. These are perfect for any animal loving bakers out there. Honestly, I looked at this mug and thought it’s too cute to not buy. So I bought it, and it will be in my family grab this year (crossing my fingers that I win it). It’s good for any coffee or tea drinkers out there, of course the ones that use cream, sugar, honey etc. Fair warning, the spoons are smaller than your typical spoon, but they’ll serve their stirring purposes. These are for all you drinkers out there, or at least the ones that fruitier drinks. This flavor infuser lets you mix the flavor of any fresh fruit/vegetable (strawberry, orange, lime, cucumber, watermelon, etc.) without having to deal with the mess of any pulp or seeds. It’s like having a bartender in your home, well almost. Marc by Marc Jacobs came out with a line of these animal cases. Besides this bunny, there is also two dogs, a zebra and what I think is an owl. These cases are so unique to all the cases I’ve been seeing around and they provide bumper to bumper protection. I was always told not to buy fragrances for people unless you know what they like/use because it can be so personal. That’s what makes this sampler so amazing. For $50 you get 12 different fragrance samples. But wait, there’s more, in the set there is also a voucher for one full sized bottle. So when your giftee has had a chance to sample all the different scents, she can use the voucher to get a full size of her favorite for free. This kit comes with a Butter London base coat, top coat, nail polish remover, and nail file for $25. There is also a slot in the set to add a regular Butter London polish of your choice. I love that you can customize the color in the set since everyone has different tastes in nail polish colors, but it also provides all the basics you need or should have. September, here we go. September trading was definitely a whirlwind. It’s kind of crazy how addictive this site can be and how much of my time it can take up. 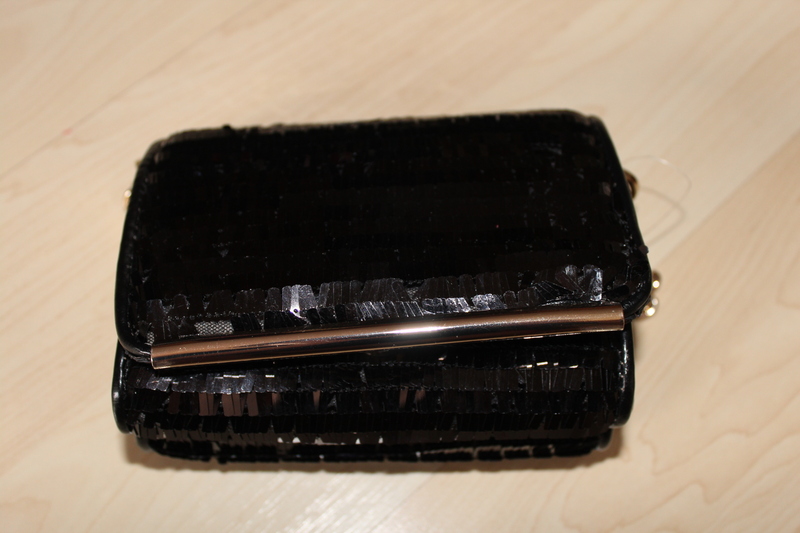 For those of you who haven’t heard of Little Black Bag before, you can see my first post here. Sorry, this post is a little late, but I was out of town for a few days for business and just missed this box before I left. Like all my other posts, I’ve included pictures below to give all of you a better idea of what these items look like in person. Sorry if anything is a little dark, the sun was not on my side and I just wanted to get this up asap before all of these things are gone. I have mixed feelings about this bag. When I saw the pictures on the site, I thought it would be a little bigger, but at the same time not so wide. 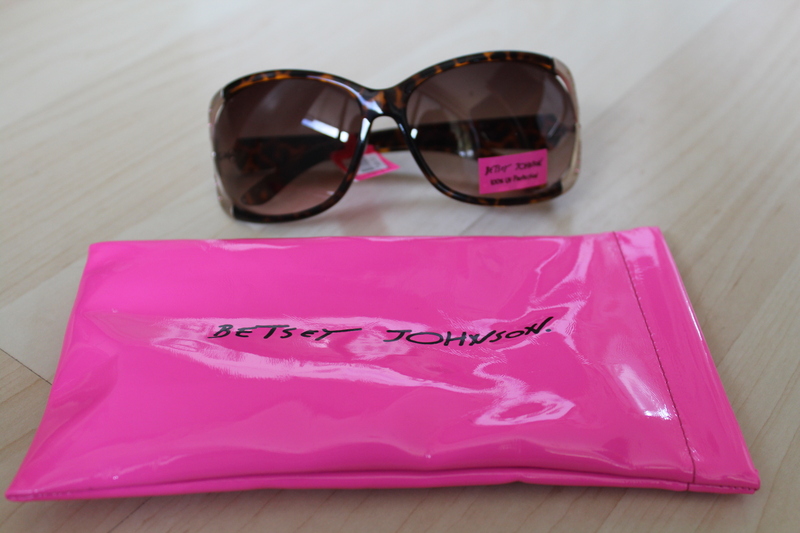 The size is big enough to fit the necessities, like your cell phone, credit cards, camera and some touch up makeup. From a far it’s gorgeous and I think it’s perfect for a night out. 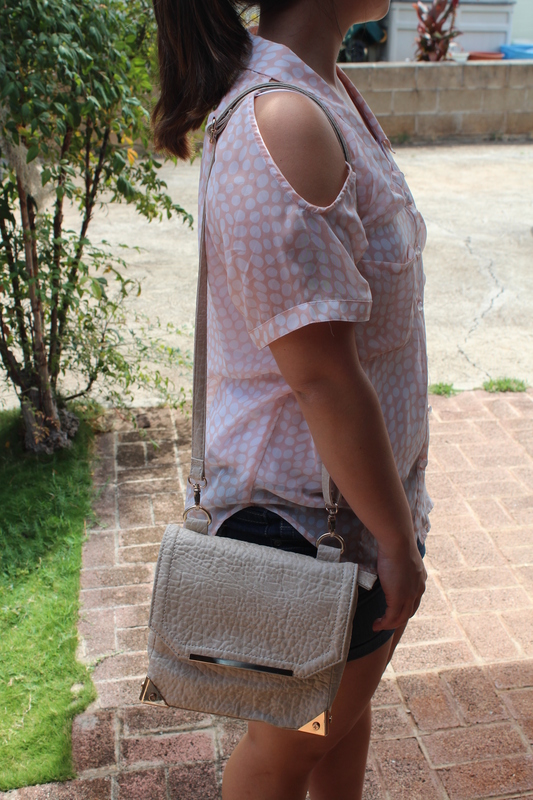 The chain is also adjustable so you can double it up and wear it as a shoulder purse or you can let it hang long and wear it as a cross-body. Personally, I’ll probably be wearing this as a cross-body. I think my only hesitation with this bag is all the sequins. Looking at the sequins up close makes me nervous because I feel like they’re bound to start falling off. In fact, I think I already saw a couple missing from the bottom by the seam. I guess we shall see over time how this bag holds up because I think it’s just too pretty to return. I love love love these earrings. 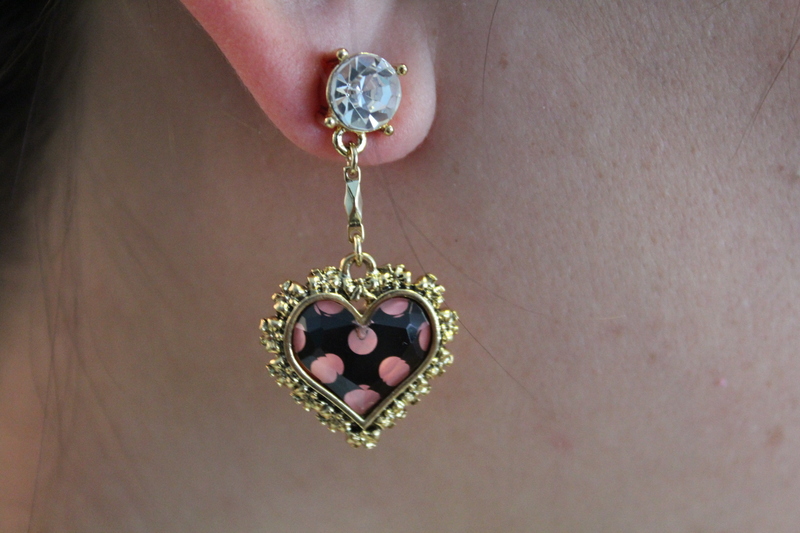 From the moment I saw them on the site, I knew I wanted these Betsey Johnson earrings. 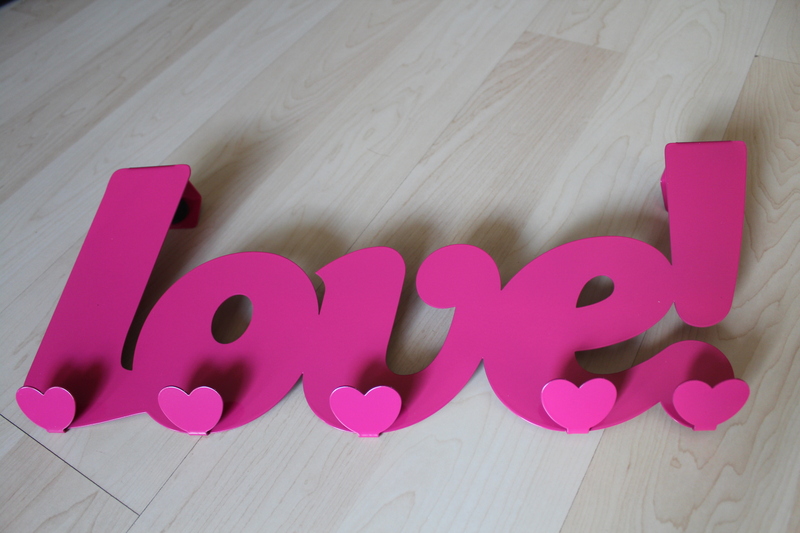 I have always loved the black and pink color combo and I think that the size is just right. 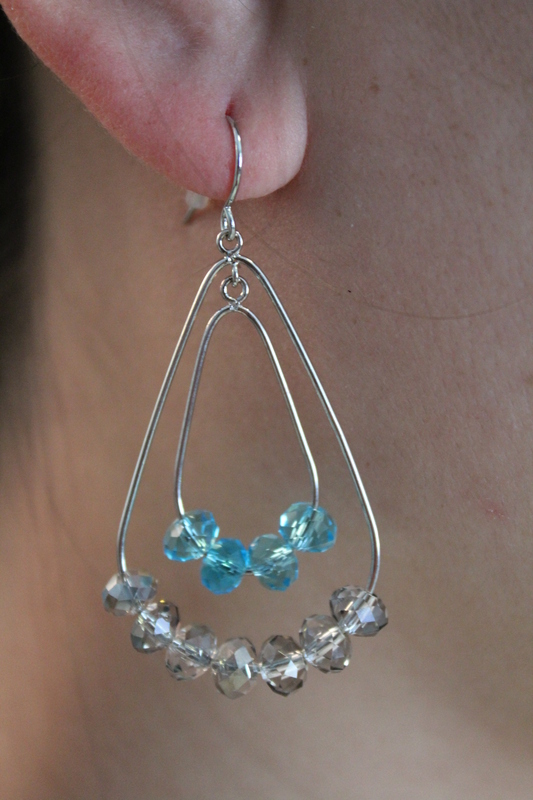 I like how these earrings dangle, but aren’t extremely long (I’ve seen some pretty long earrings on LBB). I also like the accent that the studded gem at the top adds. 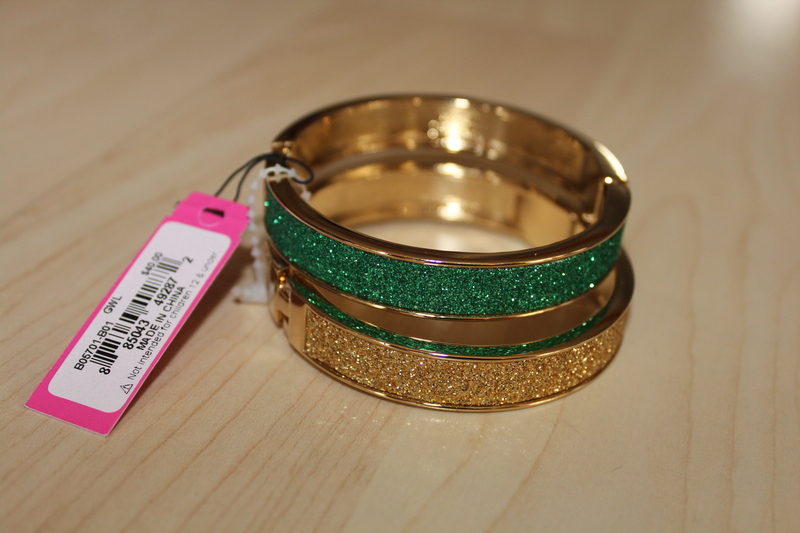 These glitter bangles were quite popular on the site when I was doing the trading. I cannot express how lucky I was to actually get them. I was trying to trade for one of the other color combos, but I think I’ll make do just fine with these. I think the bangles are a nice size. They’re not quite as fat as the pink single bangle that was on the site (I believe it was worth $35). They also fit my wrist nicely (I think my wrist is about 6″ around). 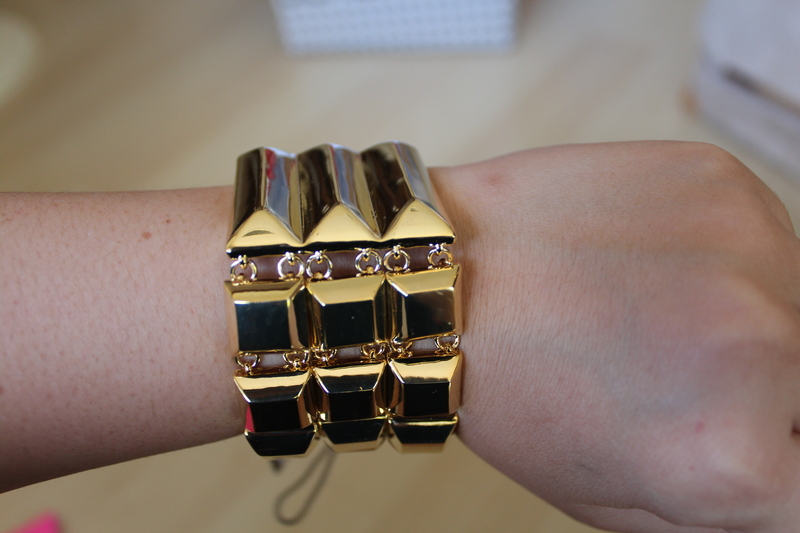 The bangles are wide enough that there’s some wiggle room, but definitely not big enough to slip off my wrist. 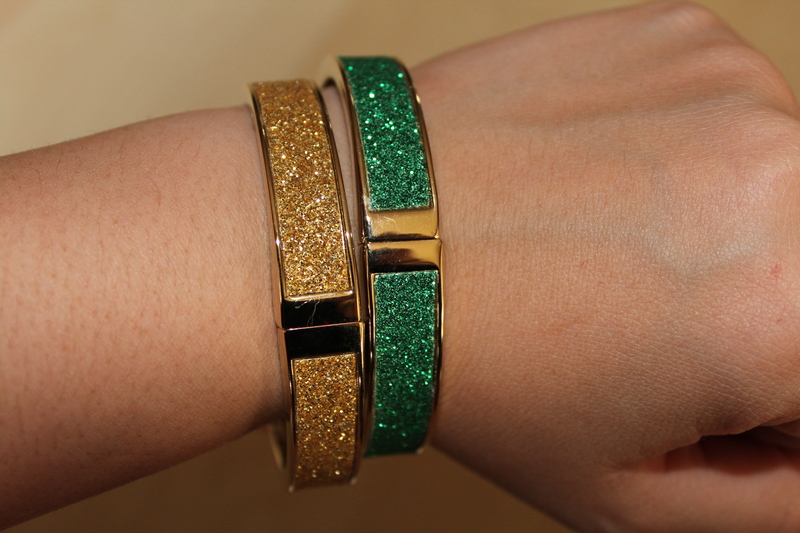 My only concern with these bangles is all the glitter. I thought that it would have like a smooth finish on top to keep the glitter from falling off, but it feels a little rough, kinda like a nail file, so I’m not sure if the glitter is going to slowly fall off over time. 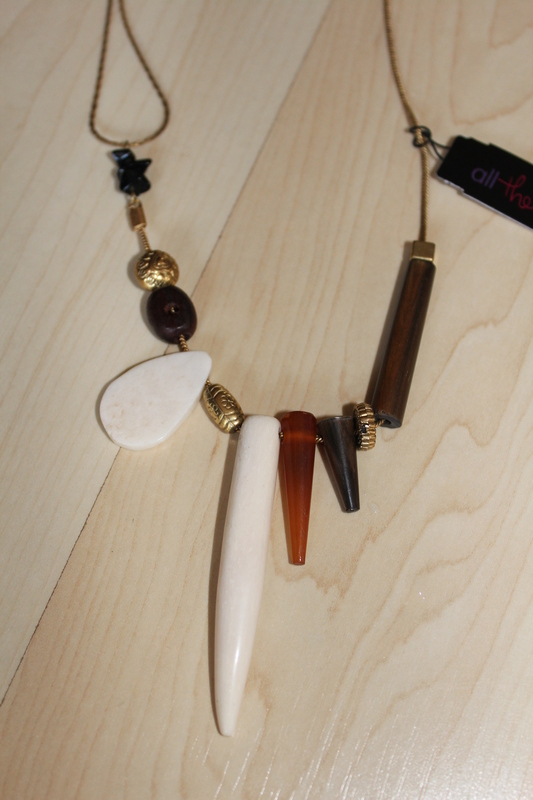 This tribal necklace was just not trading good. I got it during the last couple of hours of my trading and decided to just accept my fate since I can’t complain with all the other stuff I got. 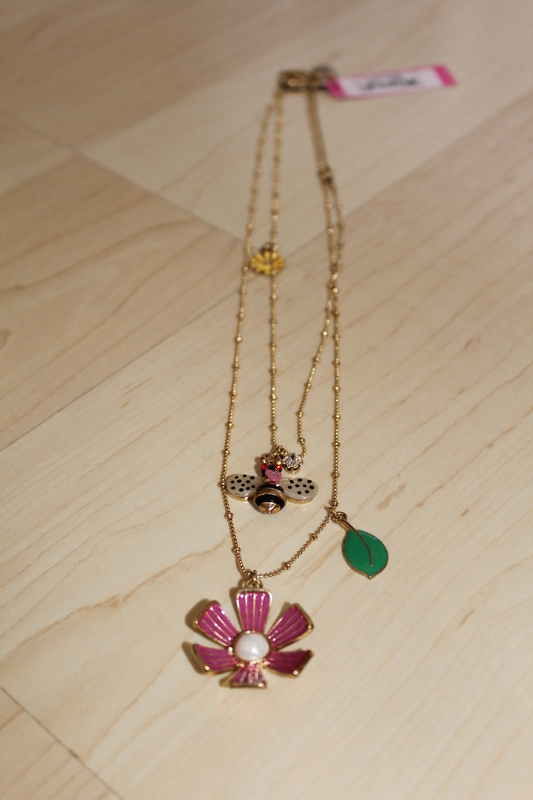 Plus, I thought I would mix some things up in my bag since I didn’t get any other necklaces. In person, I think I like it more than I thought I would. I just need some time to figure out how I’m going to style it and what I can wear it with. Thinking about it, it could be a nice piece for the fall with all the neutral colors, right? I’m also thinking about shortening the length so it hangs more around the neck, but with that one long bead, I’m not sure if that will work. One thing you should note about the necklace is that none of the beads are secured except for the cluster of black beads on the far left (my left). 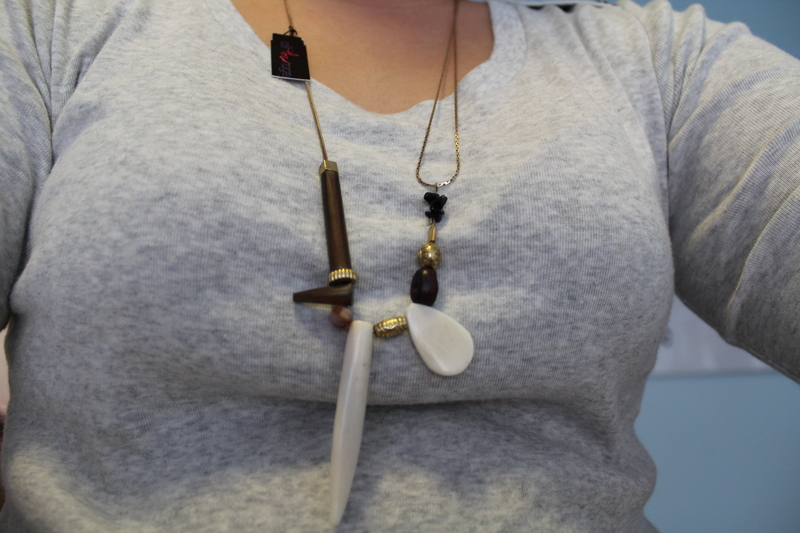 Everything else moves freely, so I could see having to adjust this necklace every once in awhile when I wear it. 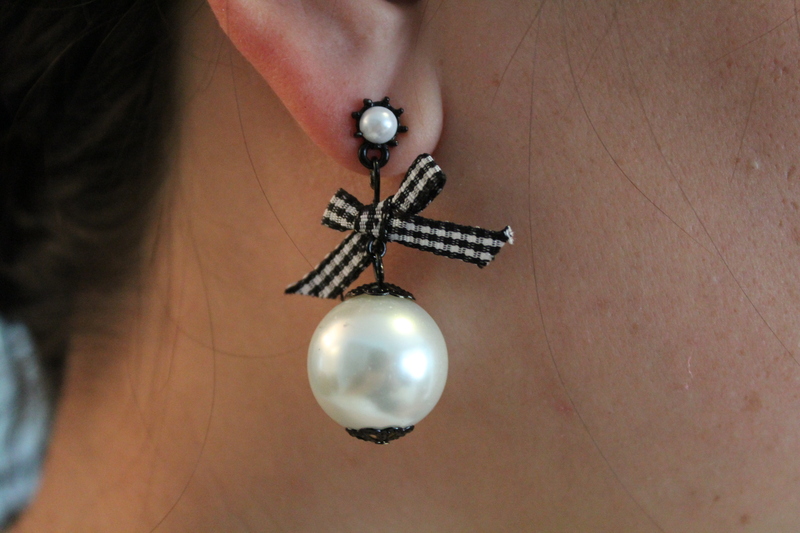 The white pearls on these earrings were a lot bigger than I thought they would be. I would prefer that they were a little smaller, but what can you do. The color combo is simple and makes it easy to match with anything. I feel like these earrings can be quite versatile. You can dress them up with a nice black dress and you could dress them down with a pair of jeans and a simple t-shirt. I guess that’s the beauty of black and white. 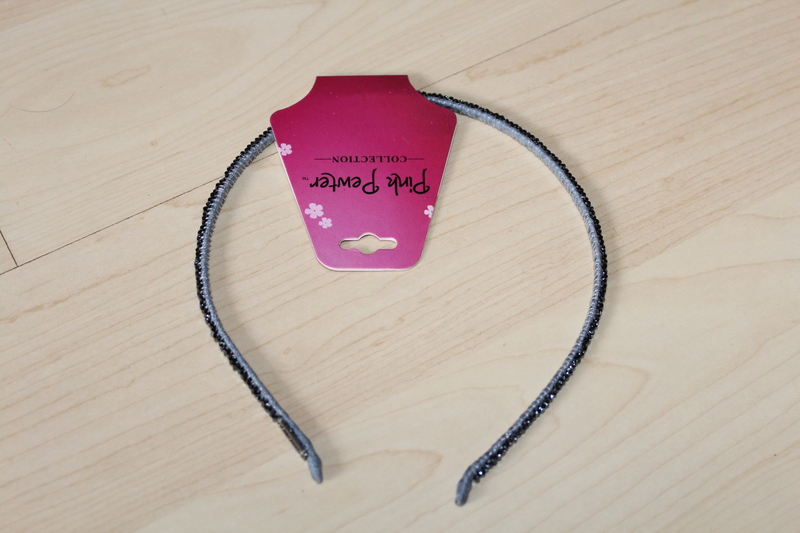 This headband is simple, but I like it. The cylindrical beads across the band add a little sparkle, but aren’t too eccentric. I think it’ll be a nice, subtle accent to any outfit. 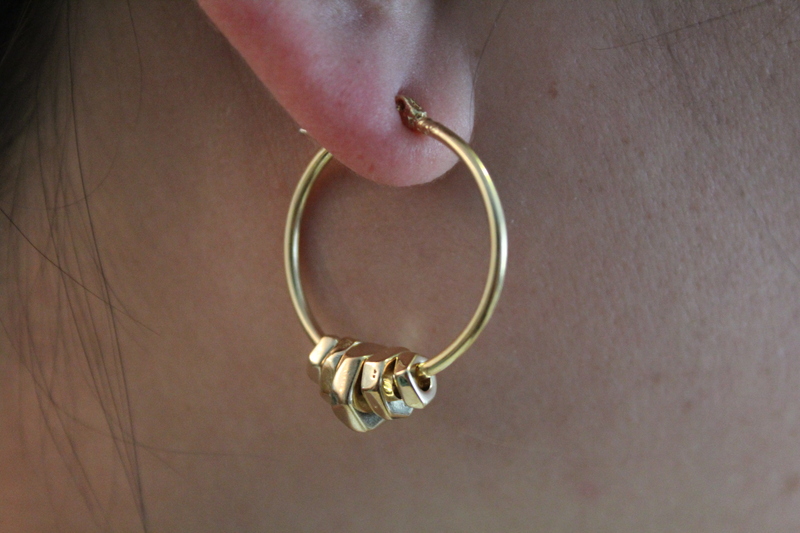 I have been searching for a new pair of hoop earrings. I think it’s been years since I’ve had one that I actually wear. When I saw these, I thought that they were quite unique and put a different spin on hoop earrings. The hoops are somewhat small, I’ve definitely seen way bigger hoop earrings in my life. However, I like the size because I feel like they’re small enough for me to wear to work (our dress code is a little strict). The clasp on the back is also somewhat different (sorry I should’ve taken a picture). You can see a little of it in the top picture, but it’s the kind of closure where the post that goes through your ears snaps into a prong on the other side of the hoop. 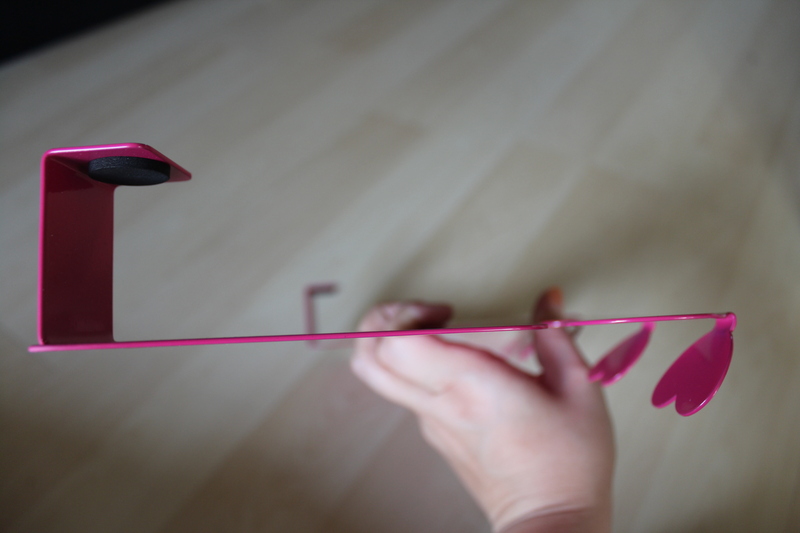 They also include a rubber stopper to put on the post before you snap it into the prong. I hope that makes sense, but hey I tried. When I saw this ring on the site I fell in love. It looked simple and classy. In person, the ring is a lot bigger than I thought it would be. It covers almost the entire bottom section of my finger, and the gold wiring in generally just looks thicker. I haven’t decided how I feel about this ring yet. What do you think, keep it or return it? 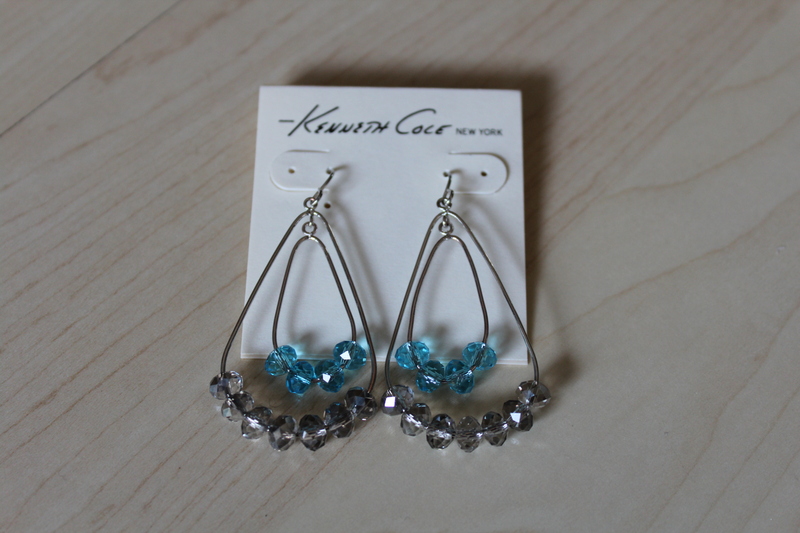 These earrings are also another item on the site that were not trading well. I think it was more so because there were soooo many out there. In person, I really like them. I feel like they will catch the light nicely during the day. My only warning is that the wire is not the strongest. I tried to bend it a little to see if I should be concerned, and it definitely did bend. I have the hardest time with jewelry storage. I just don’t know what to do with everything because I don’t want to put it in a box and forget about it. 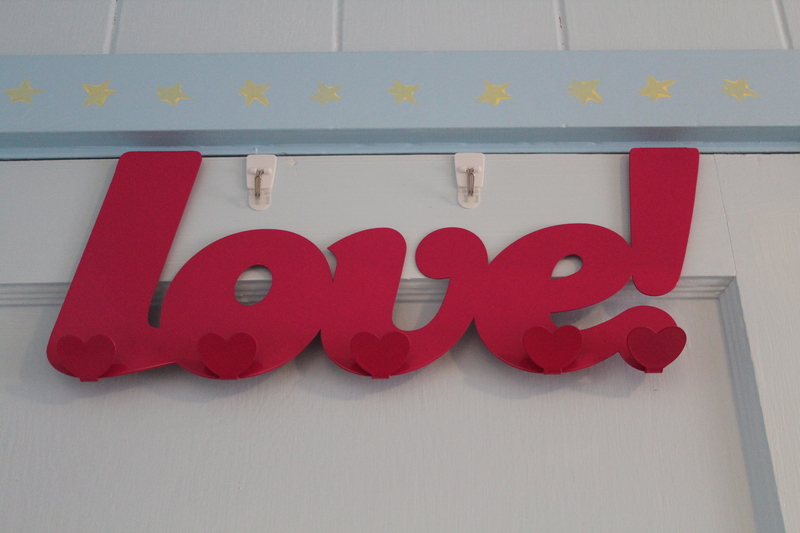 When I saw this door hanger I thought it would be perfect. I’m sure you could use it for other things, like to hang clothes or small purses, but I fully intend on using it to hold my necklaces. I put the holder on my door to see if I would have any issues. It fit nicely over the top, and I can still close the door completely, so I would say it’s a success. I also like the black padding that they added on the back to help prevent the metal from scratching up your door. These benefit samples are probably the reason why I bought this bag to begin with. To be honest, I told myself I would not buy a September bag, and then I went to the site and saw all the Benefit samples. Honestly, I was hoping for the Porefessional or They’re Real mascara, but I will definitely take these two plus the small porefessional sample. When I was in Cali I used to go to Benefit to get my brows done and while I’d wait at the counter they would also let my sample some of the products. 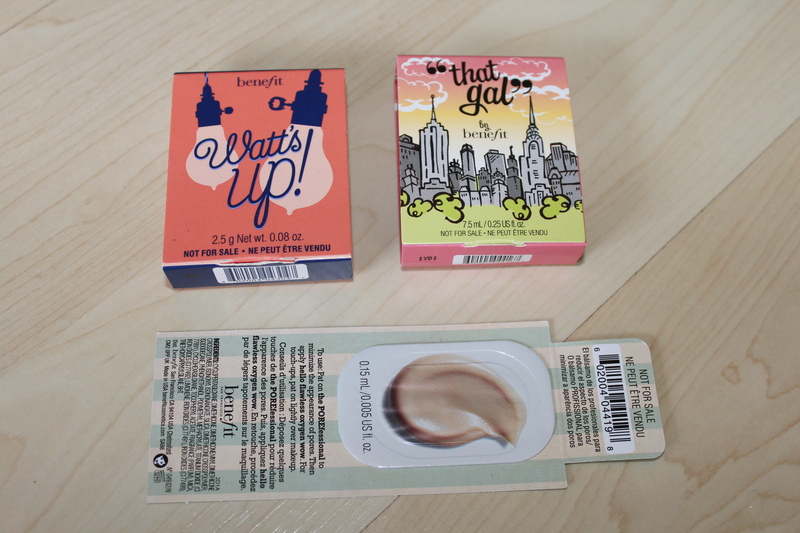 I never got to try the Watts up!, but I did try the “that gal” primer and I seriously debated buying it. So I am definitely exited to try out these deluxe size samples. When I saw the pictures of this bracelet on the site, I knew it was going to be big, but I don’t think I was expecting it to be this big. Also, I swear I saw that part of the bracelet was white, but maybe I was imagining it. 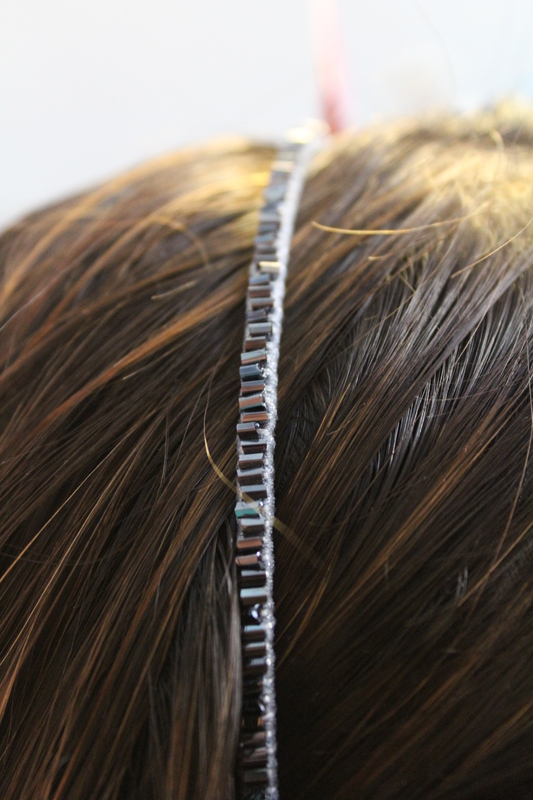 The bracelet itself seems to be made with good quality, and is a magnetic strip closure. I think my wrist is about 6″ in diameter and the fit was nice. However, it’s just a little too big for my style, so it will probably be going back. Okay, I should start by giving a little background on the sunglasses. 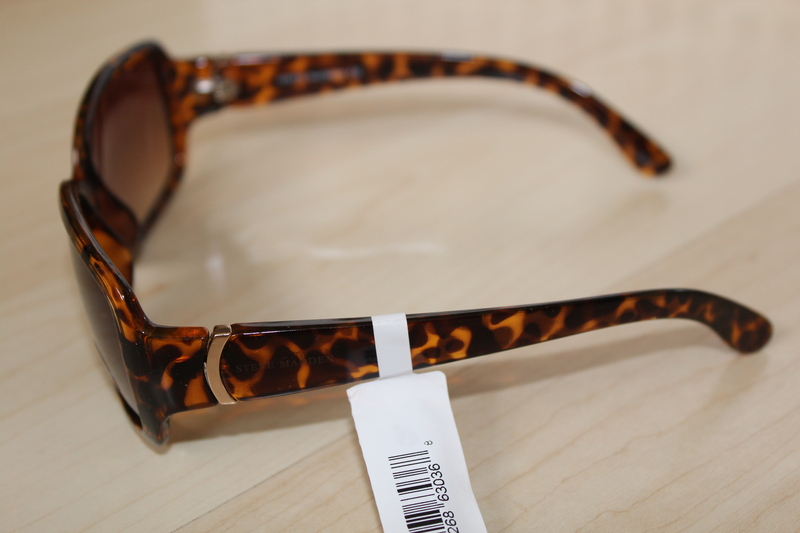 So I have been searching high and low for my old tortoise sunglasses for about a year now and have been unsuccessful. 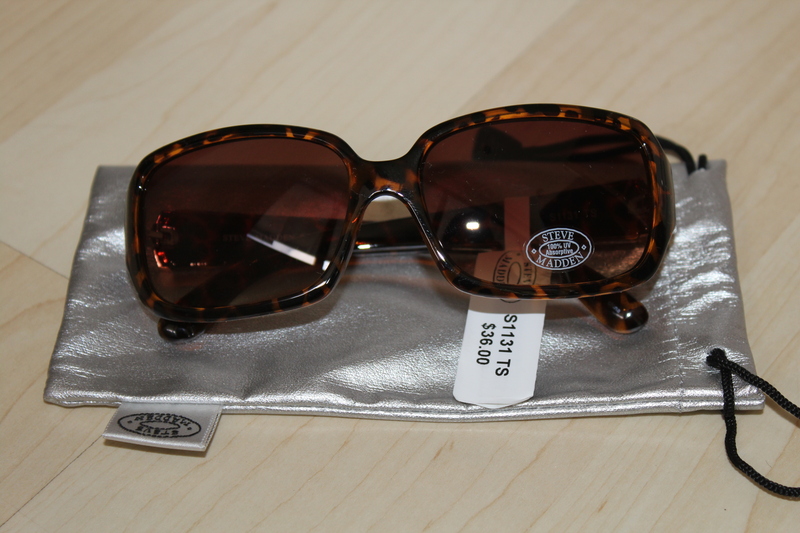 I thought this would be the perfect opportunity to replace them so I got this pair, as well as the Steve Madden sunglasses below and figured I could just exchange whichever pair I liked least. Long story short, I found the sunglasses the day I received this bag and now I can’t decide if I should keep either of the sunglasses or return them (let me know what you think). Anyways, back to these glasses. I honestly go back and forth on how I feel about these sunglasses. I like the accent on the side because I feel like it adds character and makes them a little more unique, but at the same time the gold looks a little cheaper than I was expecting and might be a little too much. 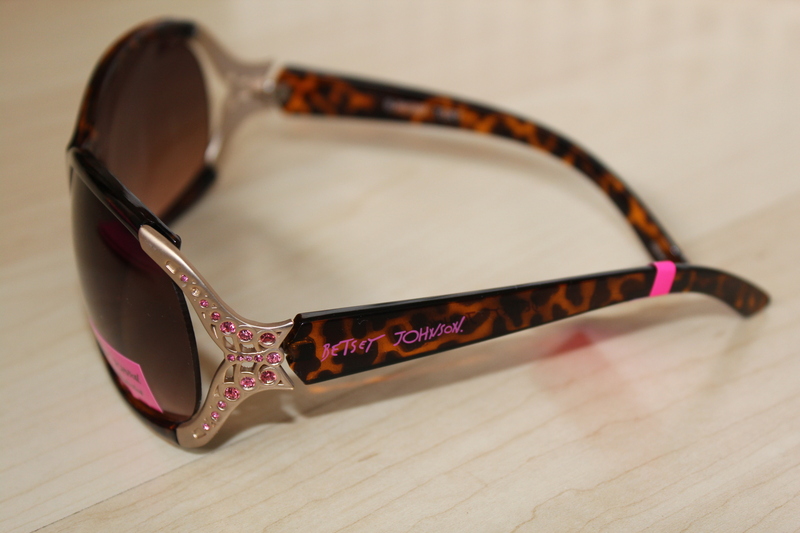 I feel like they would be good sunglasses to wear every once in a while, but not for my day-to-day wear. Out of everything I got this month, I love this bag the most, hands down. 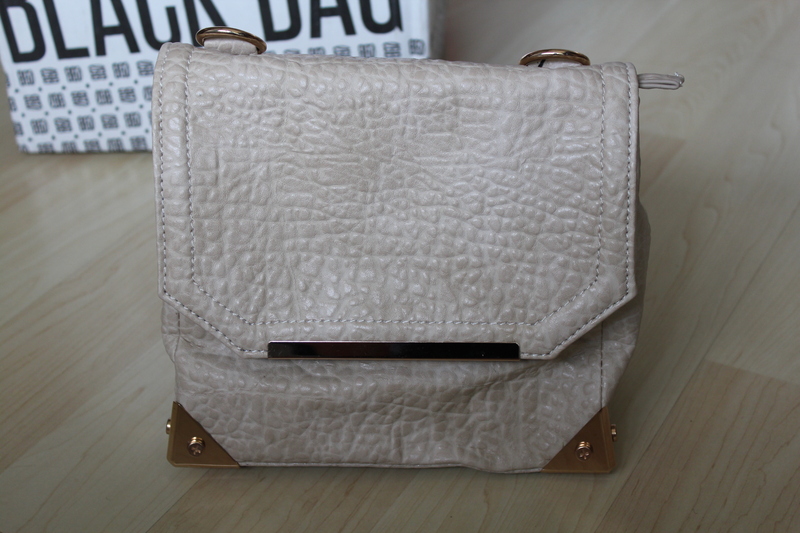 I have been looking for a bigger, white crossbody bag for a while, so when I saw this bag on the site I thought it would be perfect. The bag itself is roomy and fits everything that I need, but note that it’s not one of those huge bags if you’re a big bag kind of person. My only issue with the bag is that the color was a little darker than it looked on the website. Usually, I wouldn’t mind so much, but because it’s a textured off-white/beige color, I feel like it makes the bag look like it’s dirty. Also, if anyone knows what the purpose of the metal hoop at the bottom in the back is for, let me know. I was thinking that maybe I could make it into a backpack, but since there’s only one loop, I don’t think that would work. 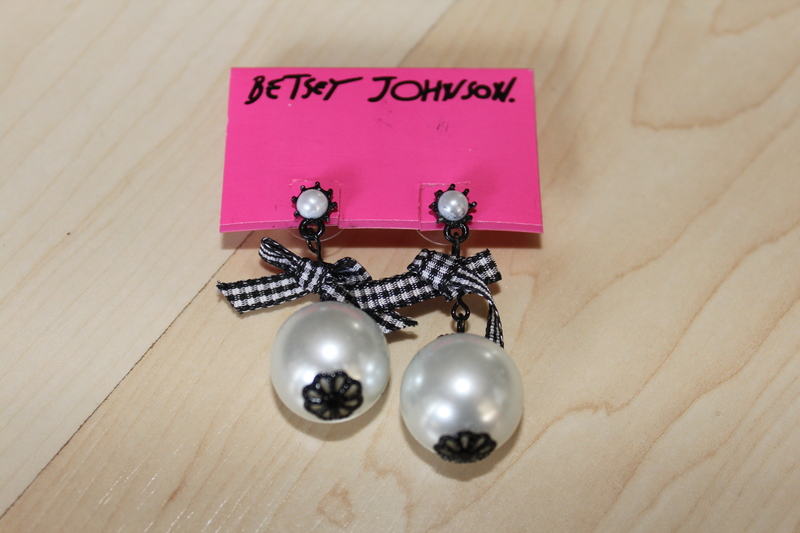 I think in general Betsey Johnson jewelry is in high demand on the site. When I got this item, I was excited, but at the same time there were some other super cute Betsey Johnson necklaces that I kinda wished I got instead. In person, I was happier with the necklace than I thought I would be. I really like what it looks like on, and I feel like I can wear it with a lot of things. I think it’ll look really cute with a nice v-neck or strapless top, but I’ll play with my clothes a little more and see. The necklace itself is a little longer than I was expecting, but the beauty is that it is adjustable so I usually wear it at one of the first links so it’s shorter and above the top of my shirt. I think the main problem with this necklace, though, is that because it’s two rows, they tend to intertwine a lot and not always fall as nicely as they’re meant to be. Either way, I’m sure I’ll still be wearing this necklace a lot in the next few months. On to my second pair of sunglasses. I love the size and shape of these sunglasses. They were exactly what I was looking for and I feel like they’re good for every day use. I tend to like the tortoise colored sunglasses just because it matches better with my hair and skin tone, as weird as that may sound. As I mentioned earlier, though, I’m still torn on what I should do with these glasses since I found my old pair. Maybe keep them as a backup in case I lose the other pair for another year again? 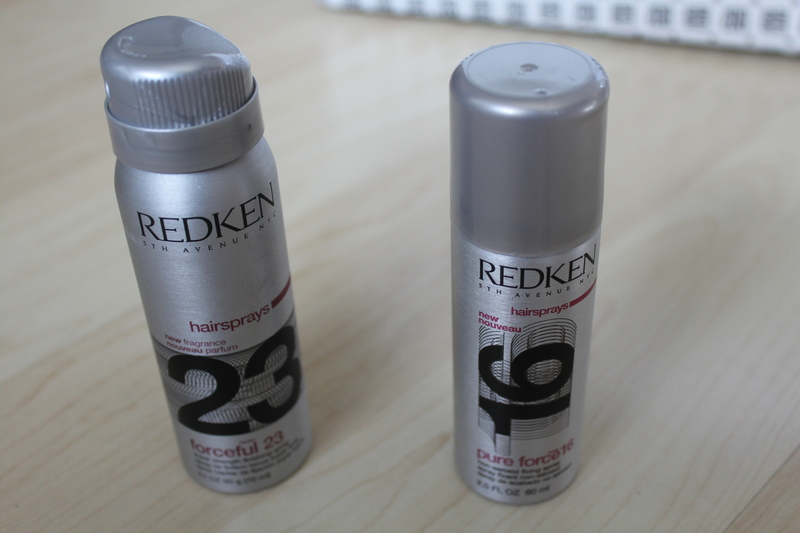 I lumped the two Redken samples together because really there’s not much to see. They’re both a nice deluxe size sample (see the first picture above for a size comparison to my other things). I haven’t had a chance to try either of them yet because I wanted to get all the other pictures up asap, so I can’t tell you yet how I feel about the quality of the product. I do need some new hairspray, though, so I’m a little excited. I recently discovered a new subscription service called Little Black Bag, and I think the word addictive could be an understatement. 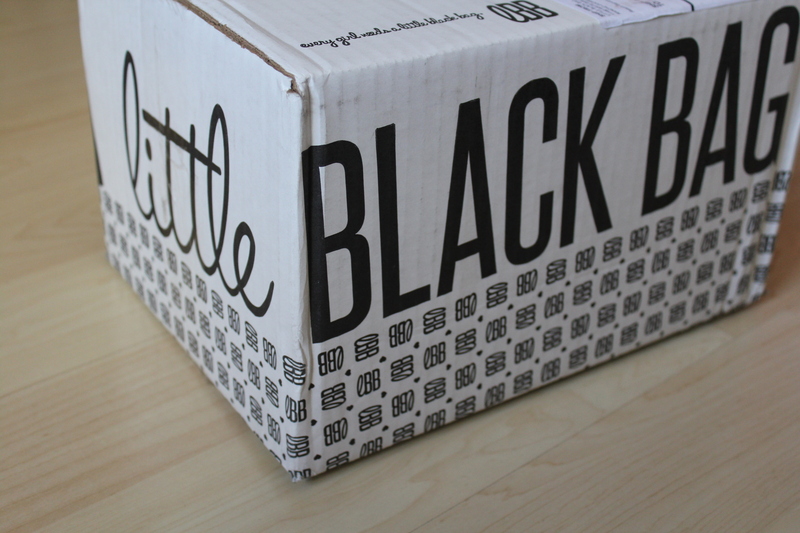 Little Black Bag is a monthly subscription service for $49.95 (shipping is an additional $5). Similar to other monthly subscriptions, you have until the 5th of the month to “skip” a bag if there is nothing you want to purchase. You can also purchase numerous “bags” during the month if you like. The website itself is full of a variety of items, bags, jewelry, home goods, makeup, accessories, etc. You get to pick your first item, and the item values range from around $10-$100. The site will then assign you 1-3 additional items so your total bag value is over $100. Now here comes the addictive part, you have 7 days where you can trade your items with other people on the site if you don’t like any of the items in your bag. I cannot begin to describe the craziness of trading. I think I was glued to my phone for the entire 7 days making/accepting trades. It was totally worth it, though, because I LOVE 3 out of the 4 items I got. Oh and did I mention they accept exchanges/returns. Needless to say, the 4th item that I didn’t care for did get shipped back for an exchange, where I’ll get an additional item of roughly the same value in my next bag. 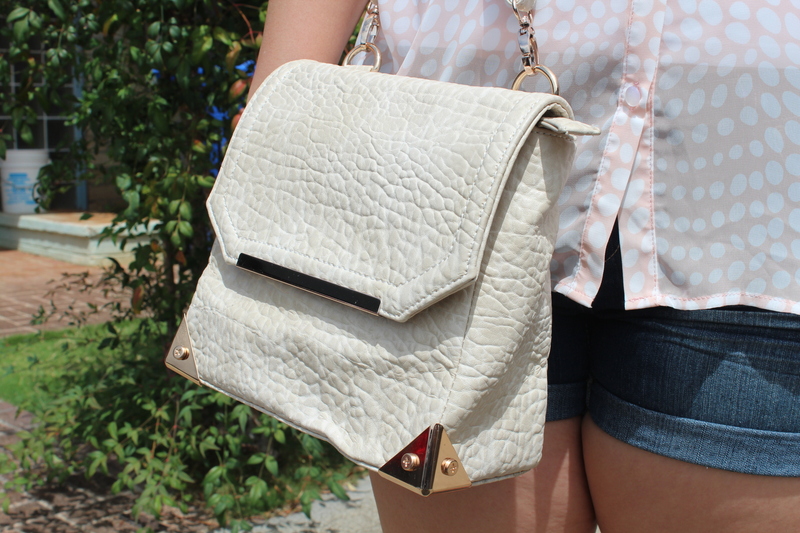 I love this bag, and the adorable inside is just a plus. 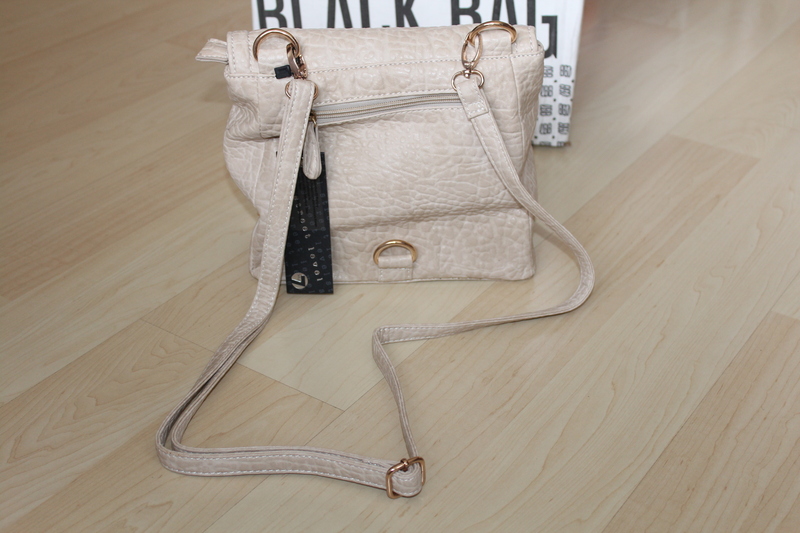 I think it’s smaller than some people were expecting, so if you are a big bag lover, this might not be the bag for you. 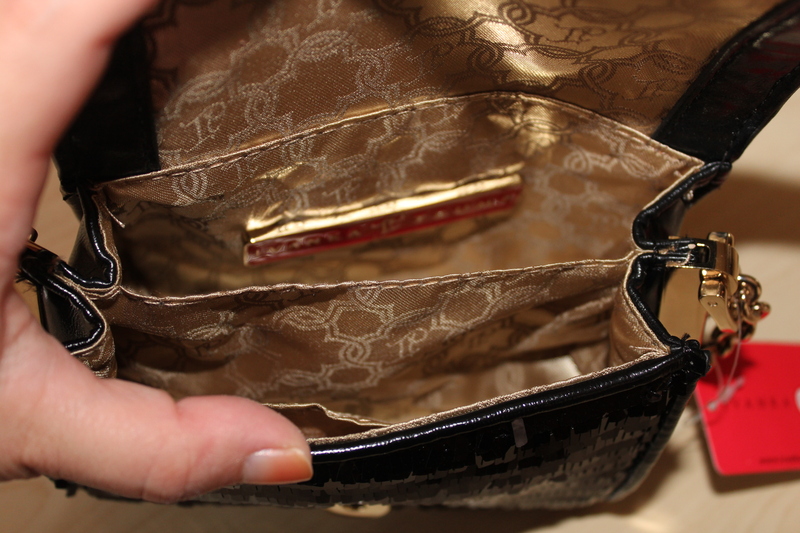 However, it was just the size that I was looking for, and it fits everything that I would need to put in my purse. In all honesty, this necklace was not my favorite. It was a little longer than I was expecting it to be. If I draped it around my neck and tied a loose knot, both ends probably went almost down to my belly button. I know, not a big deal. I should emphasize, it’s not that I didn’t like the necklace, it’s more that I didn’t think I would really wear it. Needless to say, I sent it back for an exchange. So unfortunately, this is the only picture I have of it. I think this necklace was my favorite thing in the bag. I love its chunkiness and the chain detail. It makes an awesome statement piece and I can’t wait to wear it out. Lately I have been obsessed with bracelets, I’m not quite sure why. I have been loving mixing/matching and layering different pieces, and I think this bracelet is a perfect addition. Unfortunately, the poor lighting from the pictures makes the colors look a lot duller than they actually are. The colors are actually really close to the picture shown on the site. I should also add that the beads are on elastic which makes it easy to just slide on. Overall, I must say that I love the site and the concept. The interactive concept is unique and takes the monthly subscriptions to a new level. Plus, the variety of items and designers make it so that there’s something there for everyone. Hopefully, I don’t go too crazy on the bag purchases, but I guess we shall see.